Every time you turn on the news you hear it: Someone spouting hate at those who don't agree with them. All claim to have the good of the country at heart, but none are willing to even consider the thoughts and opinions of the "other side." Worse, they launch attacks on their opponents that go far beyond the subject at hand. Personal attacks have become the norm. Hate becomes the over-riding emotion, and some politicians are expert at stirring up "Hate for the other side" in their messages to their followers. Hate is a destructive emotion – and it harms the hater more than the hated, but those whose lives are focused on hate don't seem to understand that. There would be no point in telling these politicians about Bach Flower Essences. They probably wouldn't even understand the value of releasing hate in order to get on with working together to solve the country's problems. But, YOU no doubt do know the danger in hate and the value in letting it go. 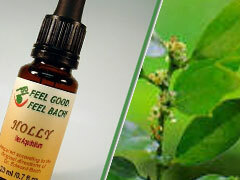 If you've been influenced by these hate mongers, or if you've begun to hate at a more personal level, here's how to overcome it: Use the Bach Flower Essence Holly. Holly lets your spirit connect with universal love. It won't cause you to approve of those you disagree with, but it will free you from destroying yourself with hate, so you can get on with loving your life. Is Fear of Disappointment Limiting Your Success?